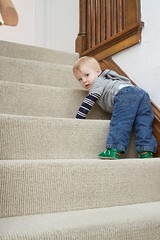 I’ve been having such a good time since I recently figured out how to go up the stairs. At every opportunity I shoot up the steps then play upstairs. My favorite game is closing and then opening the bedroom doors. 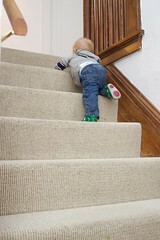 It only took a couple of days before I also figured out how to go back down the stairs. Really the only reason I would want to do this is so I can climb right back up!